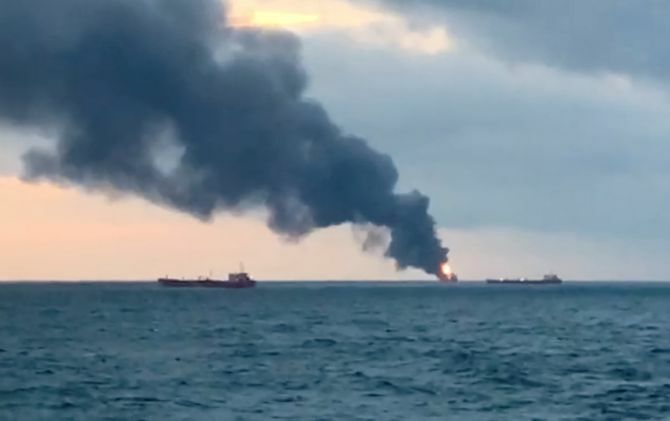 Two ships carrying Indian, Turkish and Libyan crew members have caught fire in the Kerch Strait separating Crimea from Russia, killing at least 14 sailors, according to media reports. The fire broke out on Monday off Russia‘s territorial waters. Both vessels were flying Tanzanian flags. 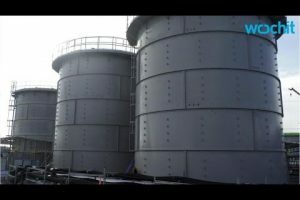 One of them was a liquefied natural gas carrier and another one was a tanker. The fire broke out as the two ships were transferring fuel from one to the other. Fourteen people were killed in the accident, Crimea‘s head Sergei Aksyonov told reporters on Tuesday. “I cannot say anything about the cause of the fire. We currently have information about 14 dead sailors. Other sailors have not reached hospitals yet. Kerch hospitals are expecting to receive them, they will get medical assistance,” he said. “Presumably, an explosion occurred (on one of the vessels). Then the fire spread to another vessel. A rescue tug is en route,” said a spokesman for the Russian Maritime Agency.